Are you wondering what a mom living in rural Virginia, who works by day as a freelance writer, author, blogger and speaker, and by night as the die-hard romantic Jenna Harte penning stories about passionate, in-love couples who get into danger might have to share? 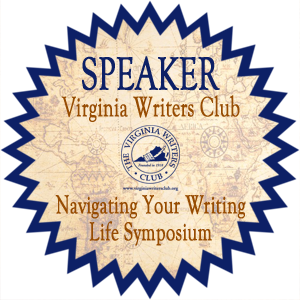 I have a few things to talk about related to writing and publishing (self and traditional), and am available for speaking engagements, interviews, and appearances in-person or via tele- or web-conference (including Skype). You can download a media kit, a complete Q&A interview, or see below for the most current information, including bio, contact, factoids, one sheet, reviews, and interviews and articles. 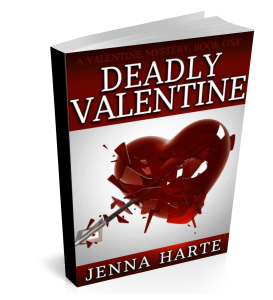 Jenna Harte is a die-hard romantic writing about characters who are passionate about and committed to each other, and frequently getting into trouble. She is the author of the Valentine Mysteries, the first of which, Deadly Valentine, reached the quarter-finals in Amazon’s Breakthrough Novel Award in 2013. 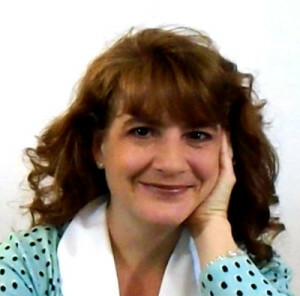 She entered into a three-book deal for a romance series with Penner Publishing in 2015. 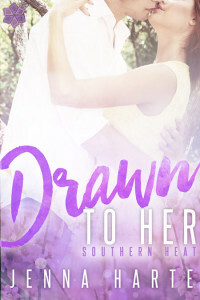 Drawn to Her, book one in the series was published April 2016. Meant to Be is due September 2016 and Wed To You in January 2017. Email: Use this contact page to email me. 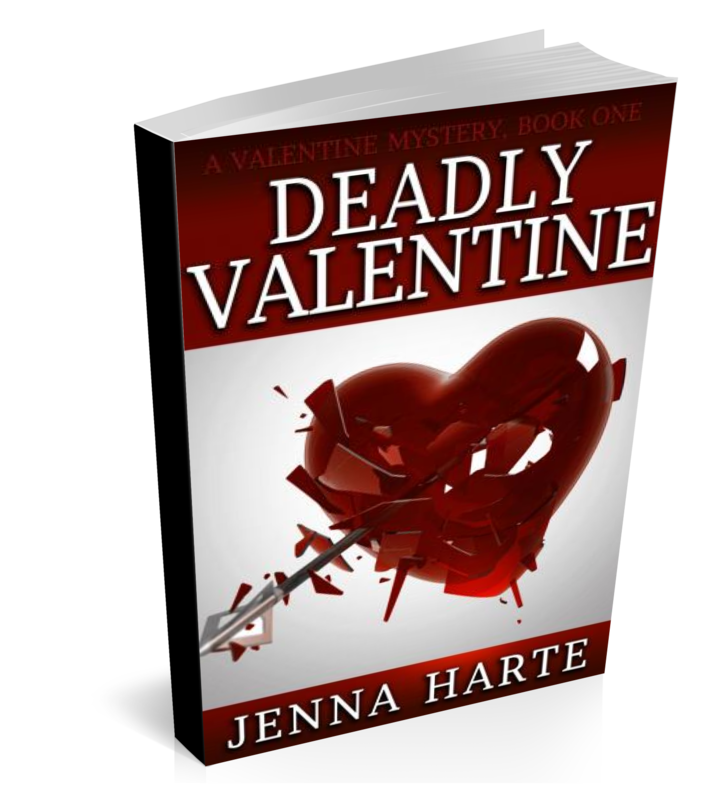 You can check out all the Valentine Mysteries and other books by Jenna through her author page at Amazon. Deadly Valentine reached the quarter-finals (top 100) for romance in Amazon.com’s Breakthrough Novel Award in 2013. Tess Madison walked away from her two-timing fiancé, a multi-million dollar trust fund and a cushy corporate law job to pursue the single life indulging in chocolate and fancy French underwear. But her newly reordered life comes unraveled when she reluctantly accepts an invitation to a dinner party and stumbles upon the host’s dead body. 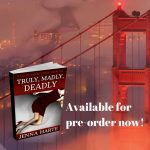 Now Tess is in the middle of a murder investigation pitting her wannabe-boyfriend police detective against Jack Valentine, a man from her past with blue-green eyes and sinful smile that causes her to rethink her self-imposed celibacy. Tess has many reasons to avoid Jack including the fact that he’s the prime suspect in a murder. But Tess doesn’t believe Jack’s the murderer and with an honest attempt to keep her hormones in check, she agrees to represent him. With Jack’s help, she uncovers a 30-year-old secret someone is killing to keep hidden and discovers sensual delights that don’t include chocolate or French underwear. But when her professional and personal relationship with Jack threatens to ruin her career and end her life, Tess has to decide if Jack, is worth the risk. Drake Carmichael doesn’t trust the nurse who’s taking care of his grandfather—despite how adorable and compassionate she seems. He refuses to let her get her grips into their hard-earned money. But as the two square off and begin to battle about what is best for the dying man, Lexie and Drake realize they know very little about each other and that first impressions are deceiving. Once they finally give into their desires, the battle has only just begun. You can check out all the Southern Heat romances, and other books by Jenna through her author page at Amazon. Read more reviews on Amazon, Goodreads and Barnes and Noble. You’ll find more questions in her media kit and complete interview on the Q&A sheet. I’m not one of those writers that always knew I wanted to write, but I used to write fan fiction when I was a ‘tween. This was long before the Internet or the term “fan fiction.” What’s most interesting is that I wrote the same types of stories — a committed couple that gets into trouble — but without the more sensual details I include now. 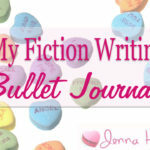 I didn’t start writing original fiction until I was an adult after I rediscovered fan fiction and built up a fan-base. In fact, one of my stories was stolen, twice. That’s when I thought maybe I had talent. I gave the story to my sister, who’s an avid reader, and she encouraged me to write something original. 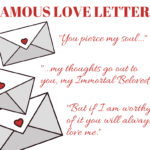 How did you come up with Deadly Valentine and the characters of Jack and Tess? Deadly Valentine is the result of over 15 years of percolating in my brain. I always knew I wanted to write passionate, romantic characters who were deeply in love and committed, who get involved in mysteries, like a modern day Nick and Nora Charles. But I discovered that making up characters, with their quirks, temperament, and backstory is harder than writing about someone else’s characters. So it took time for them to become “real” people. Now, after several books, it’s much easier to write about them because I know them so well. I struggle with several areas. I can come up with interesting ideas, but I have difficulty fleshing them out into the complex relationships and plots needed for a book. The other is shutting down the inner critic during the first draft when my goal is just to get the ideas and concepts on the page. Finally, I come up with terrific dialogue and sentences when I’m sleeping, running, driving…all the times that I can’t write, but when I sit down to write, it never comes out as well. That’s why I’m waiting for an app that will download my brain. Then all I have to do is edit. It’s not because I don’t want my mother to know what I write about. In fact, my mother and step-mother have both beta read for me, although I do blush a little when I think about them reading some of the love scenes. I chose to use a pen name to keep my non-fiction writing separate from my fiction since I’ve already created a brand around my real name. 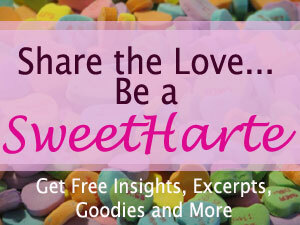 Why did you decide to self-publish your Valentine books but went with a traditional publisher for the Southern Heat books? I pitched Deadly Valentine to several agents and got good feedback, but no takers. The series doesn’t fit the cozy because I include love scenes. Because it doesn’t fit nicely into the genre, it was suggested that I ramp up the heat and sell it as a romance. But I knew I wanted to do a series. The positive comments indicated to me that I had something good. I was hearing a lot about self-publishing, so I thought I’d try it. The positive reviews and reaching the quarter finals in the Amazon.com Breakthrough Novel Award has made me feel as legitimate as a traditionally published author, because ultimately, it’s about the readers. If they like the book, that’s what matters most. As far as going with a traditional publisher for the Southern Heat series. It’s a long story, but ultimately, traditional publishing still carries extra clout, even if it doesn’t necessarily pay as well. With traditional publishing, I don’t have to pay for covers and editing, which is nice. I still have to market it. There’s no difference in that between self- and traditional publishing. I’m just finished Wed to You, book three in Southern Heat, I’m writing a new cozy mystery, and am plotting book six in the Valentine series. I have several other stories that are vying for attention, but I’m not sure which I’ll work on next. I have ideas that include paranormal, time travel, or a mystery series involving a private investigating couple.